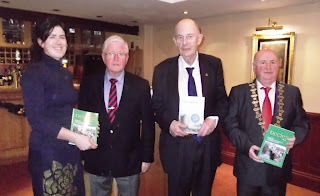 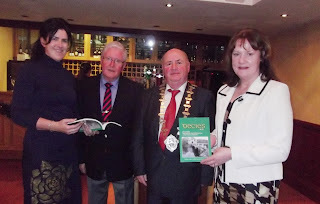 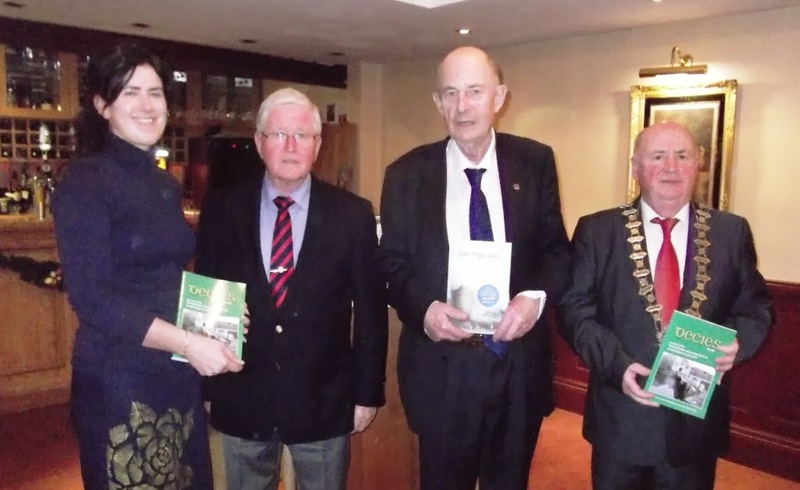 The Annual Lunch was held in Dooley's Hotel on the Quay, and members and friends enjoyed a lovely meal after the mulled wine reception.The guests of honour on the day were deputy County Mayor, Cllr Gerard Barron, and Heritage Officer, Bernadette Guest,who were both presented with the latest copy of Decies by Chairman Sonny Condon. 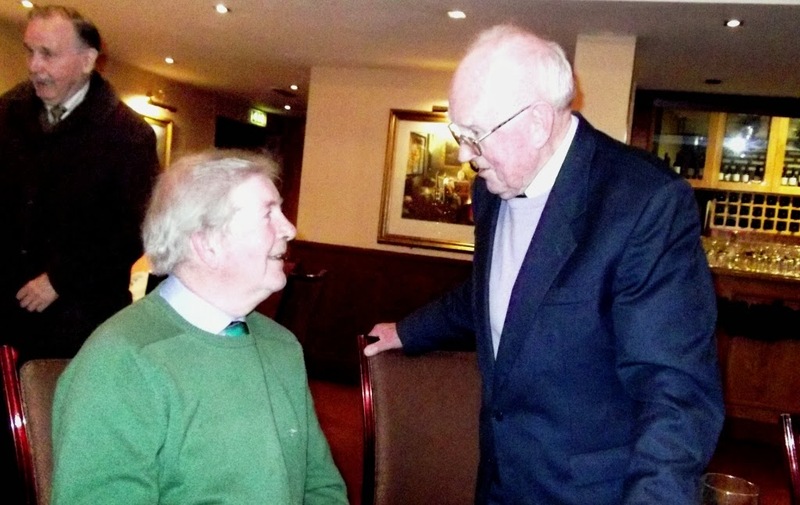 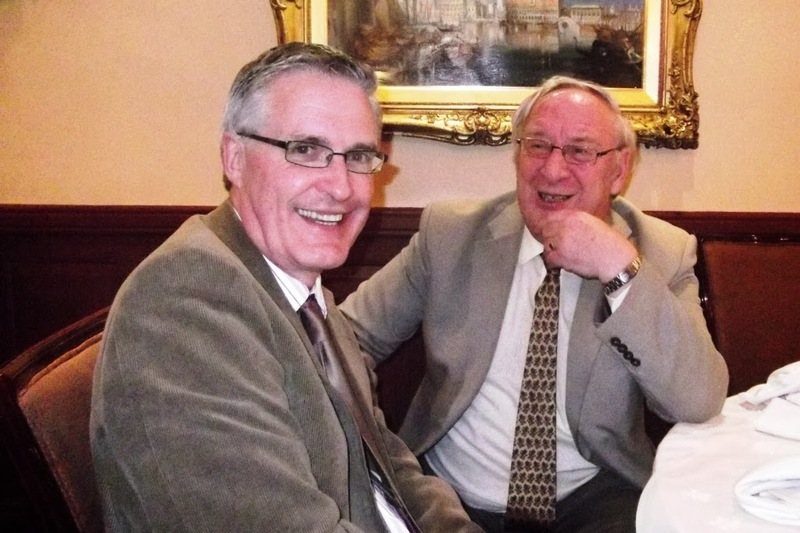 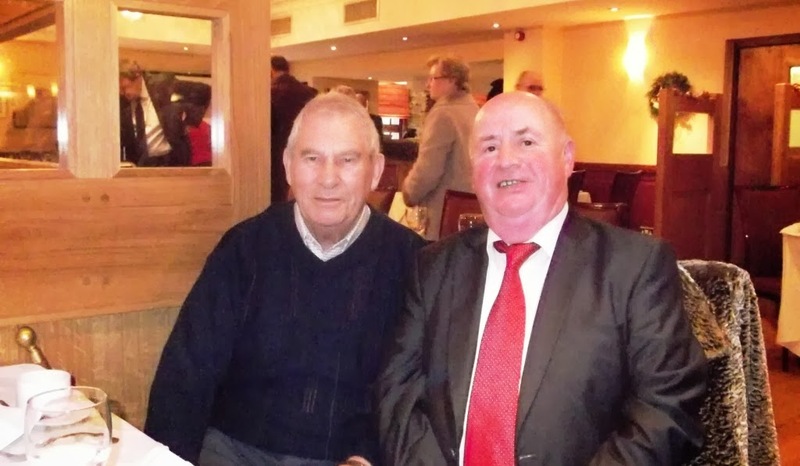 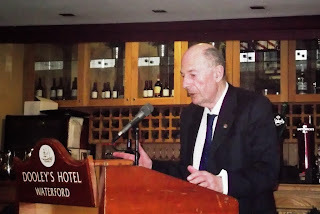 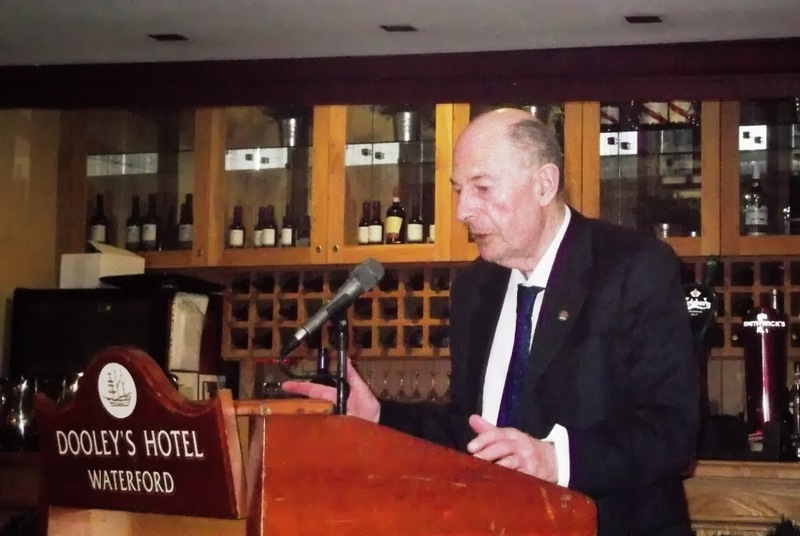 Julian Walton who, with Frank O'Donoghue, had recently launched On This Day, spoke after the meal of memories associated with the recordings of the program in the studios of the local radio station WLRfm over the year, much to everyone's delight. The book was also available for sale and Julian was quite a busy man as people queued to get their copies signed afterwards. Bernadette Guest, Sonny Condon, Cllr Gerard Barron and his wife Kay. 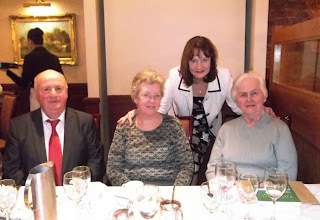 Bernadette Guest, Sonny Condon, Julian Walton, Cllr Gerard Barron. George Kavanagh and Fergus Dillon having a chat. Dr Eugene Broderick and Dr Pat McCarthy. 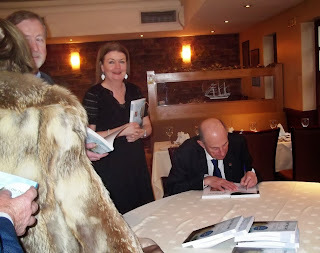 Julian busy signing his book.